I specialize in taking difficult dogs on well-behaved hikes. 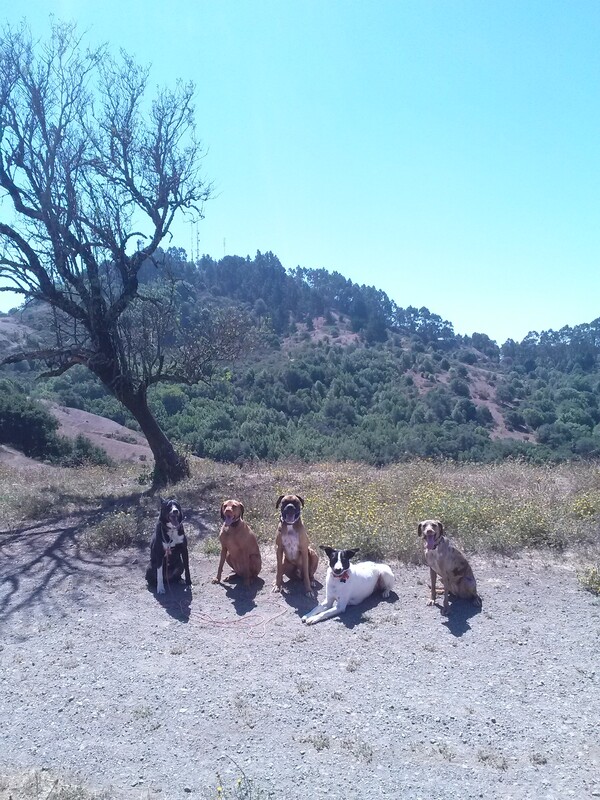 I build my groups slowly and intentionally, to maximize my individual relationship with each dog, and to ensure everyone has safe and fun outings. It can be frustrating to invest a lot of energy and money into training your dog, but then have it go out the window if your dog is getting away with their problem behaviors with your dog walker. With my strong background in behavior modification, I love taking bad dogs on good walks. Barney (left) was expelled from Doggy Lama. Ani (center) would charge people and bark at them with her last dog walker. Pepa (right) is my dog, and is very free-spirited and brave. Zawadi’s upbringing is a mystery, and he needs a lot of attention. 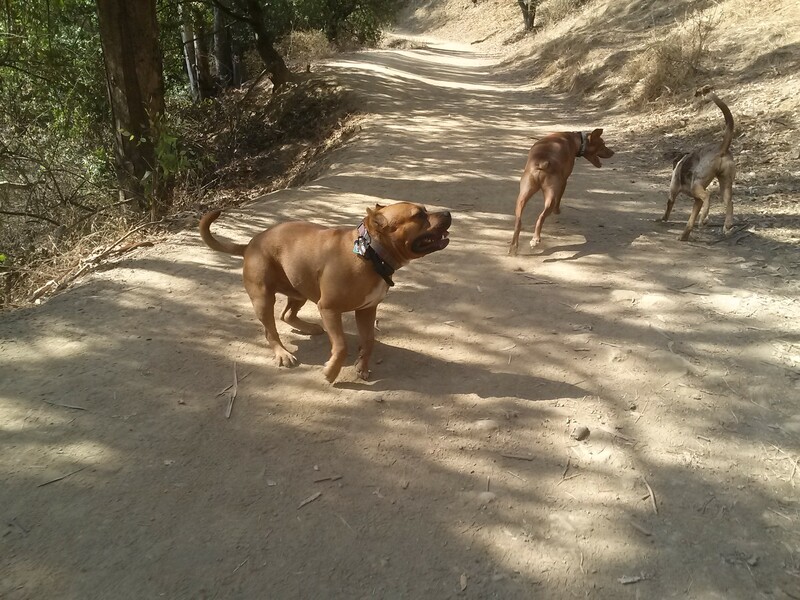 Over a few months, we worked from him barely even going on a drama-free neighborhood walk, to being able to go on hikes in a group with other dogs. 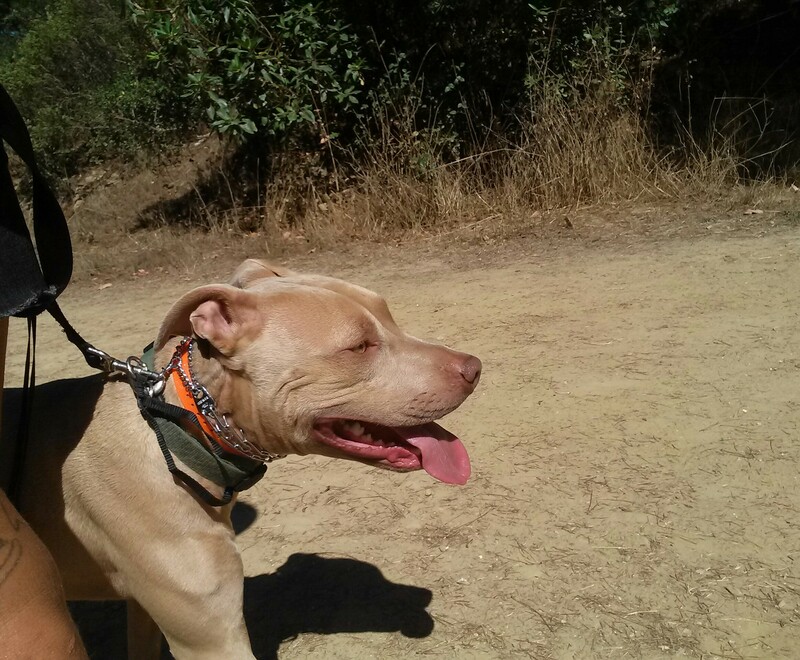 Now he is off-leash on our hikes and is much more comfortable with other dogs. 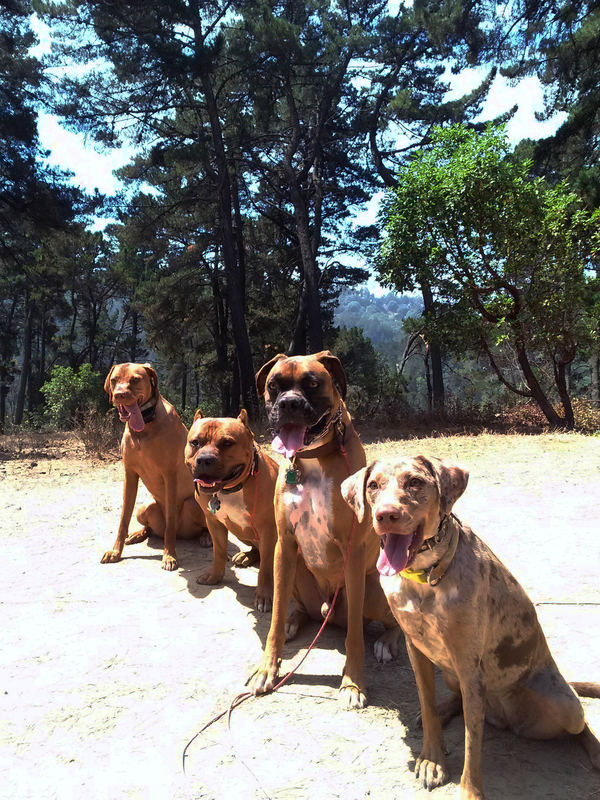 Cash (the Boxer) had been a training client, and needed mid-day exercise with ongoing obedience practice. Jerry had just graduated from boot camp when I started walking him. 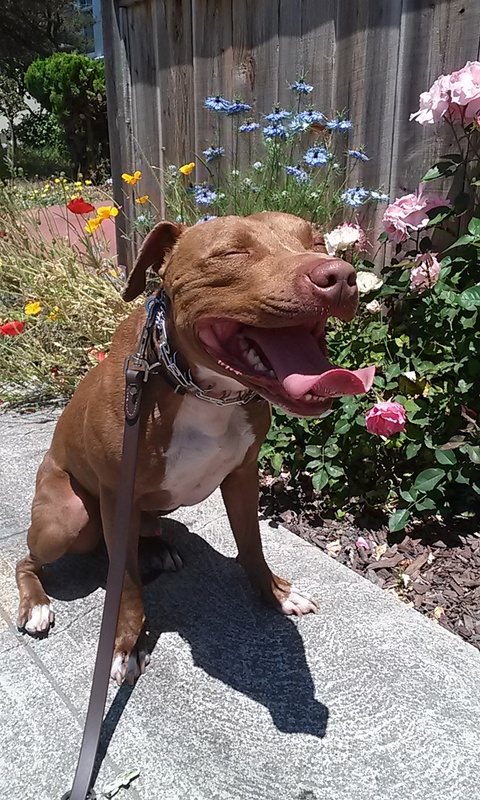 He needed trainer-level obedience on mid-day walks to ensure a smooth transition back home.